Our second Learning and Fine Dining event was a huge success. Some fantastic guest speakers and an amazing meal made it a day to remember. 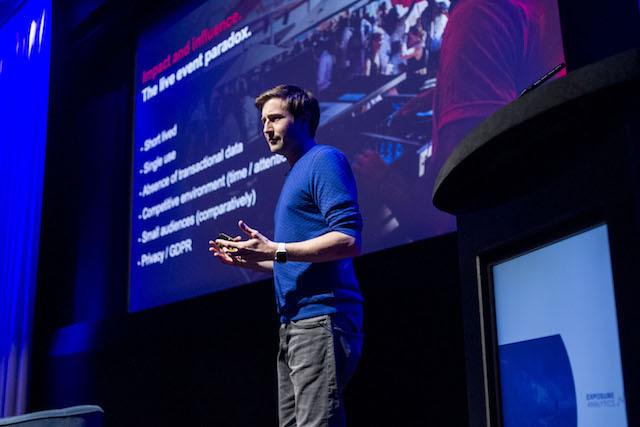 We heard from Adam Parry in conversation with James Dickson first, discussing how Event Tech Live uses Exposure Analytics to make the best use of their exhibition space, ensure there are no ‘bad’ locations for stands, and use the data in real time to get exhibitors rebooking. He explained that as an organiser of a really busy event he can’t be everywhere on the day, and the data is vital to get the full picture of what’s happening. Adam showed a heat map from 2018s Event Tech Live generated by Exposure Analytics data. It revealed just how well used the space was, following significant layout changes over the five year history of the event. 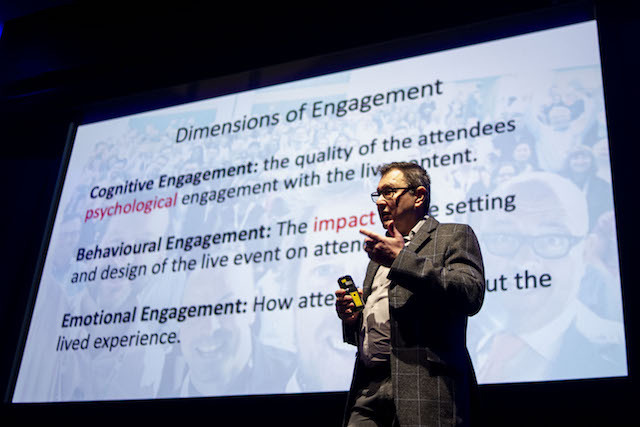 Dr James Morgan then spoke about the importance of emotional engagement; how the way attendees feel about an experience creates positive or negative memories which can lead to behaviour change. Positive emotional experiences can prompt someone to buy a product or change their way of thinking. He went on to explain the importance of story-telling and the need for authentic stories to be built in to the design of an event or experiential activity. Phil McCluskey talked about the work of the Prince’s Trust and how they helped him to turn his life around, including Rob’s work as his mentor. Phil’s story was truly inspirational and Rob is passionate about the time he spends volunteering for the Prince’s Trust. If you want to find out more about their work and how you can get involved please go to www.princes-trust.org.uk or get in touch with Rob directly. To round off the learning section Adam Sexton of 2LK and Nav Moulavi of Canon shared their knowledge and experience of effective experiential. 2LK have won many awards in their 25 year history, most recently picking up Gold and Bronze in the Best Experience category of the Transform Europe awards for brand experience work with Canon and Intel - both supported by Exposure Analytics sensor technology. Andy talked about both of these amazing experiences. It was fascinating to hear how 2LK use the data, in conjunction with a range of other evaluation methods, to really understand how their audience is interacting with the stand. Nav went on to explain more about Canon’s results from Photokina. After all that Michelin star standard food for thought, we moved on to Michelin star food at the Little Pollen restaurant. Over a seven course taster menu the conversation flowed events, experiential, data, analytics, as well as holidays, whiskey, festivals, and train travel among many other things! We had a fantastic time, thanks so much to everyone who spoke or attended on the day. We’re looking forward to the next time we hold a learning and fine dining event. If you’d like to register your interest to attend our next event, please get in touch.